The meetings industry is no stranger to the idea of collaboration: planners bringing suppliers to the table, association members joining volunteer task forces and trade show organizers co-locating their events. More recently, participants have managed to emulate collaborative behavior on social media channels like Twitter (chats) and Google+ (hangouts) where facilitators preside over brainstorming and idea-sharing sessions. As the practice of collaboration evolves to online platforms, it’s time to reap the full benefits. There is a proliferation of document sharing, group communication, collaborative visual reviewing and project management tools available, but few case studies of event planners using them. A recent initiative from the Outdoor Retailer Show and Nielsen Expositions signals a move toward a more collaborative approach to problem solving online. The group has introduced The Collective Voice website where the outdoor industry’s members can weigh in on the discussion around moving the exhibition from Salt Lake City (which it has outgrown) to other potential locations. While The Collective Voice is unique and an excellent example of the Outdoor Retailer Group’s characteristic leadership, it stops short of being a work site instead of just a website. The next step for online collaborative platforms is to give them more functionality and purpose than floating communication stations. They can serve as virtual workspaces, libraries and asset storage facilities where actual planning, co-creation, ideation and iteration can occur. The collaborative work that results can impact the outcome of a specific event or help to solve a major problem plaguing the industry. 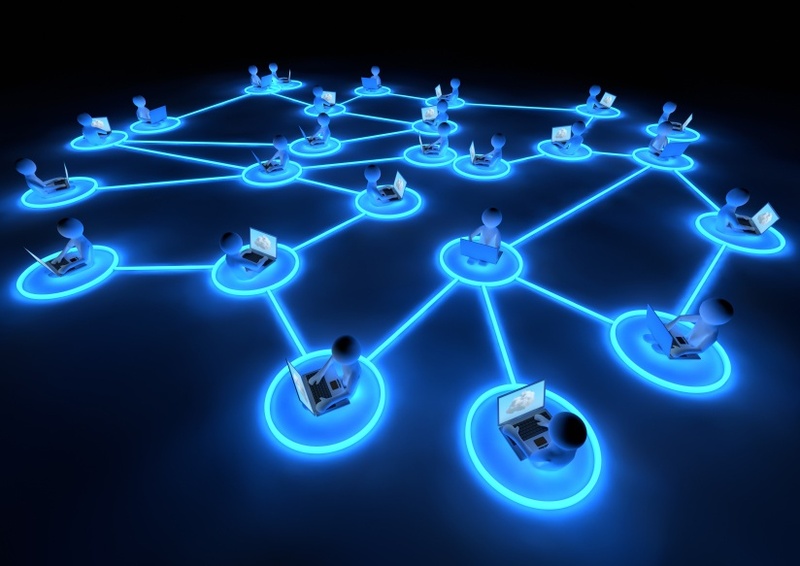 The advantages of online collaboration in the meetings industry are obvious. Virtual spaces are more convenient—participants can check in and out on their own schedules. They allow for a greater number of participants from a broader range of perspectives. Online interactions complement face-to-face relationships and offer contributors ownership in the project. And, Internet-based platforms can function as around-the-clock storage facilities for institutional knowledge and assets. With all of the talk about cloud computing, there is no better time to build upon the tools that are available. Event planners working more closely with suppliers—eliminating repetitive tasks and inquiries—by placing all of the event’s assets online: building layouts, event floorplans, room specifications, menus, A/V inventory, design library, event color palettes, move-in/move-out schedules, exhibitor lists, rules and regulations, timelines and event goals. When problems surface, all of the suppliers can weigh in (online) on the solutions bringing their considerable experience with other events (and presumably similar issues) to bear on the discussion. Associations asking members to co-create conference presentations by placing relevant materials (articles, white papers, blog posts) online and inviting discussion on key topics from the participants. The work group(s) can collaboratively develop the presentation down to the actual PowerPoint and room design as an alternative to the current system, the legendary “call for presentations” followed by the flood of rejection notices. The concept of collaboration is more complex than learning to work the levers of an online platform. It requires a mindset about the value of sharing ideas, information and collateral. It demands leadership from those organizations willing to explore the true value of openness and authenticity. The notion of online collaboration is a sea change for an industry that banks on the importance of face-to-face meetings. It’s also a critical back-up system when all of the players need to lay their cards on the table, but can’t make it to the game until a week from next Thursday. I would love to hear from the platform providers on this topic. Anyone? Very thought provoking Michelle and I hope some event and expo planners really start thinking about this and all the possibilities collaboration and even crowdsourcing provides. When I was doing research for my book I came across some interesting information on how DARPA (Defense Advanced Research Projects Agency) is using collaboration and crowdsourcing to drive innovation. (http://www.gizmag.com/darpafang/23227/ just one example of many) But this is not anything new…after all…it’s how we ended up with the Oxford English Dictionary–a collaborative project started over 150 years ago. Would have been so much easier though had they had the great tools available to us today. The line in your post that really stands out and has so much meaning is “imagine what is possible”. This is the part that is often lost when we look at this type of project. We don’t take enough time to imagine. People often just pick the low hanging fruit and miss out on the wonderful wacky and crazy ideas that turn into something really beneficial. As always…thank you for making us think!